As your life changes, so will your plan. Monitoring and updating your plan will be the key to success. 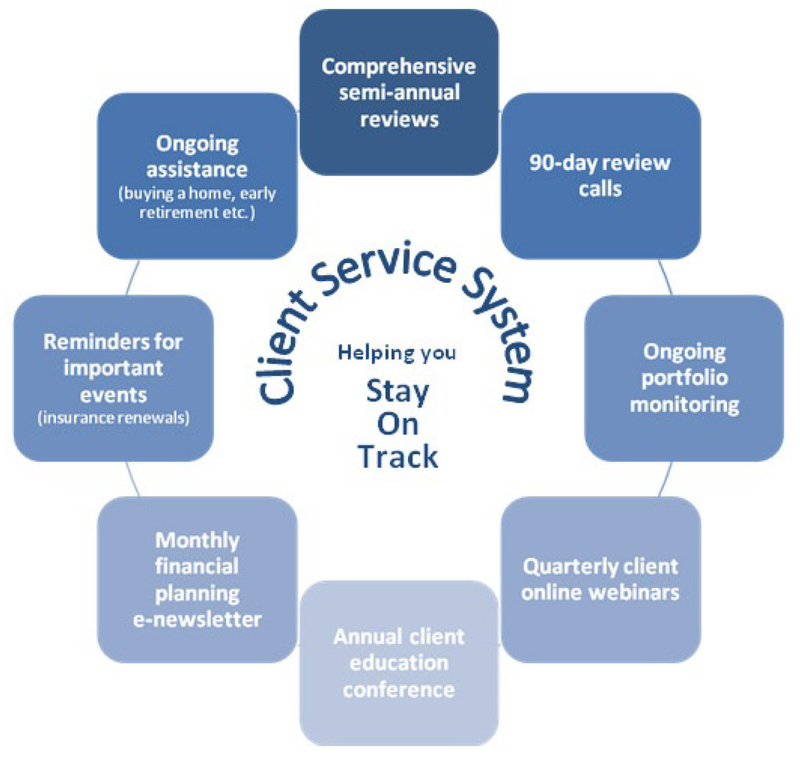 The Wealth Strategies Client Service System helps you stay on track. 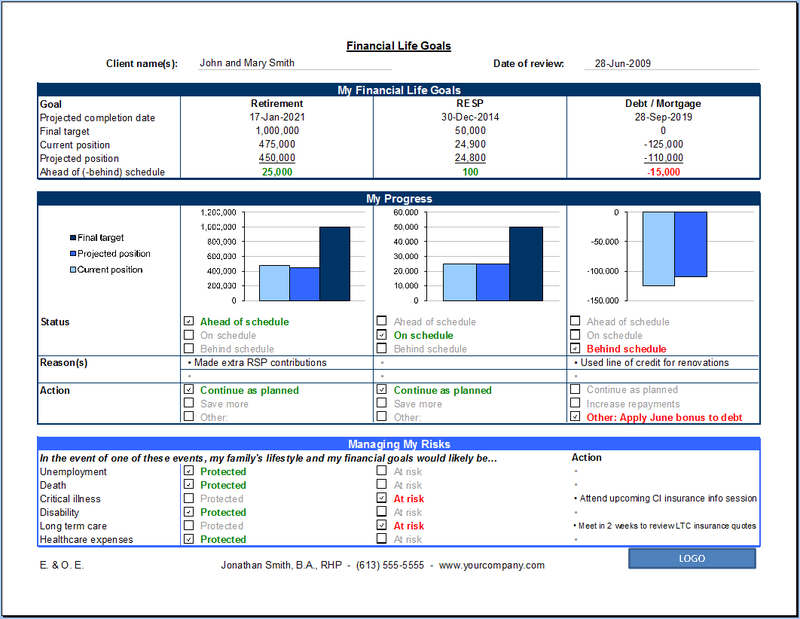 The Client Dashboard™ is a review tool designed by Wealth Strategies to help clients stay on track. The Client Dashboard" helps you understand whether you are ahead of schedule, on schedule or behind schedule; and more importantly "why" this is the case, "how" this impacts your plan and "what" action we can take to get back on track. 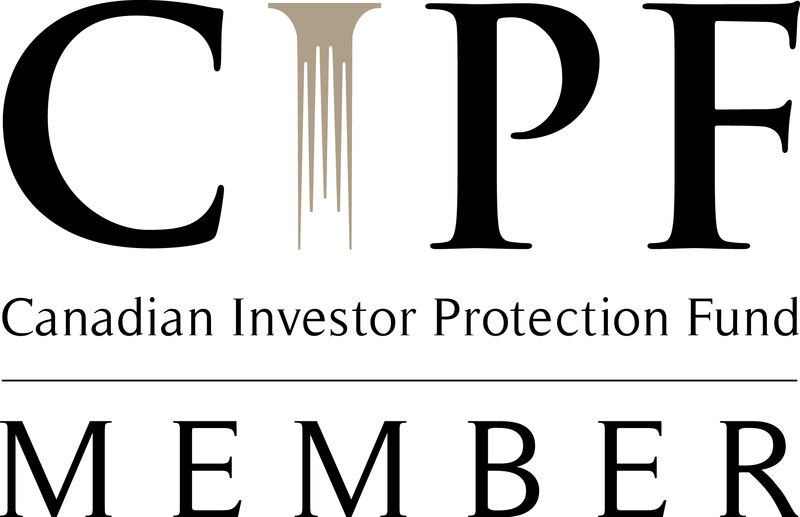 Throughout the year we are available to answer your calls or emails about all things financial or simply to act as a sounding board before you make a big financial decision such as buying a new home.